For those of you who have seen Infinity War and want to discuss the twists and turns of the movie and what it means for future Marvel films, feel free to join the discussion in the forum below. I’ll share some of my initial ramblings to kick off the dialogue. Below diving in, if you want to know my thoughts on Avengers: Infinity War feel free to check out my full review here. Also I’ll again emphasize that the intention of this post is to talk about movie spoilers so if you haven’t seen Infinity War and don’t want to have major plot points ruined for you I’d suggest you wait to read this until after watching the movie. Who Died and Will They Stay Dead? Still with us? Let’s talk about the elephant in the room right off the bat. If you’re familiar with the comics the fact that Thanos initially wins should not come as a surprise. The finger snap is an iconic moment in the comics. There are a couple of things surrounding the the film’s ending that I was not expecting. Firstly, I anticipated more actual death in the battle against Thanos and the Black Order. The only characters that bit the dust (pun intended) prior to the finger snap resulting in half of existence disintegrating were Loki, Vision and Gamora and there’s at least a chance that all three of them could potentially come back. I do believe this is the end for Loki, providing him with a heroic send off to one of the MCU’s most complex and entertaining characters, but it wouldn’t be the first time in the movies that he faked his death. There’s a belief online that Vision may have transferred his soul/mind into the mind stone prior to Thanos extracting it from his head. They did mention that there was internal communication between the parts of him that were from JARVIS, Ultron and the mind stone so perhaps he figured out how to inhabit the mind stone or perhaps he could simply be rebuilt like he was several times in the comics. However, I think there’s a good chance he stays dead as well. As for Gamora, I think she has the best chance of coming back. Rumor has it Gamora is going to be the main focus of Guardians of the Galaxy Vol. 3 and that’s difficult to do while dead. From a story standpoint, even though we saw her body dead on the ground she appeared as a younger version in the Soul Realm at the end of the movie. More on that later. As for the disintegrating deaths, no Marvel did not just permanently kill off half their characters. Spider-Man 2 and Guardians of the Galaxy Vol. 3 have already been announced (Spider-Man 2 comes out a mere 2 months after the second part of Infinity War so I’m curious how Marvel is going to advertise for that film while trying to make the audience believe that he may be dead for good) and there’s zero chance we won’t be seeing Black Panther 2 and Doctor Strange 2. It was a gutsy move by Marvel to leave the audience believing that many of their favorite characters were killed off in one fell swoop and I applaud them for finishing the movie on that note without providing a more optimistic ending (like Tony turning to Nebula and saying “I know how we can undo this”). We were given a movie where the villain won… even if only temporarily. Did you like the ending? Do you think it rung emotionally hallow because you know it will be reversed in the next Avengers movie? How to Defeat Thanos and Bring Everyone Back? So how will they bring everyone back and defeat Thanos? In movie there’s a couple of things we know. Firstly, Doctor Strange viewed over 14,000,000 possible future scenarios and saw only one where they succeeded. Since he willingly gave the time stone to Thanos in order to save Stark and comments “It was the only way” we have to believe that A) Doctor Strange knows that the only way they can win it to first allow Thanos to win and B) Tony must feature heavily in how they overtake Thanos and undo everything. The second in movie thing consider in how the Avengers can fix the problem is that the mold to create the Infinity Gauntlet still existed on Nidavellir. It appeared as though the Infinity Gauntlet was destroyed after Thanos snapped his fingers to wipe out half of humanity. It looked charred and potentially unusable. If someone wanted to assemble all the stones again in order to fix everything they’d need a new gauntlet and the equipment required to do so remains intact. Who is powerful enough to wield the gauntlet? As we saw in Guardians of the Galaxy Vol. 1, it took the entire Guardians team to hold even one stone and that was only for a brief moment as it was visibly tearing they to pieces. Who is powerful enough to hold all six in the manner Thanos did? I wouldn’t put it past Marvel to have Tony, in suit, capable of wearing the gauntlet since most things in the MCU have gone through him, and Thor or Hulk are powerful (and there’s comic precedence for Nebula using the gauntlet). The person I believe is powerful enough to wear the gauntlet and reverse the death of half the universe is Captain Marvel (teased in the post-credit scene and who I think will act as a Adam Warlock stand in for the movie version of the story). That’s the third in movie indication of how they can solve the problem. Here’s some random theories for Avengers 4 based on either the comics, online rumors, or wild speculation on my part. There were Avengers 4 set images leaked not too long ago that featured characters back in the battle in NY from the first Avengers movie, only this time Stark had blond hair and Ant-Man was there (along with some new type of technology on their hands). Based on those images the widely accepted belief is that the fourth movie will deal with time travel. There have also been images released showing briefcases with the term Binarily Augmented Retro-Framing (unfortunately coined B.A.R.F. in Civil War). This was the technology Tony Stark used at the beginning of Civil War to recreate a scene showing the last time he saw his parents before they were killed. Will this technology be used to recreate past sequences to try to learn something from the past (meaning the characters won’t actually time travel, but merely witness past events), or could Tony potentially modify the programming to somehow develop time travel apart from the Time Stone? Why would they be going back in time? Since the scene depicted in the set photo is from the first Avengers movie and not simply moments before Thanos stole the stones or snapped his fingers it doesn’t appear to be an attempt to simply prevent him from getting them or to save their friends. Here’s my guess- we don’t know what Thanos did with the stones following him achieving his goal. It appeared as though the Infinity Gauntlet was destroyed after the finger snap so now he’s either keeping them with him somewhere, he has scattered or hid them, or he has possibly destroyed them so they couldn’t be used against him or to undo what he did. If it’s the later, there’s a possibility the fourth Avengers movie is them traveling to the past to gather the infinity stones themselves from each of the last know locations. Here’s another major theory, which may fit in with the time travel story and has some comic precedence. Perhaps the people “killed” by Thanos when he snapped his fingers aren’t actually dead but trapped inside the Soul Stone. Bear with me here because this gets comic booky. In the comics there existed a pocket-dimension within the soul stone that acted as a purgatory of sorts for the people who were captured, not killed, by the soul stone. They resided within the stone in an idyllic alien landscape. In Infinity War Thanos was depicted as believing that he was saving the universe by his actions and that by reducing the universe’s population by half, the surviving members wouldn’t use up the finite available resources and could thrive. What if he discovered that by assembling the infinity stones he’d be able to eliminate half the population without actually killing them? If that’s the case, if the heroes are able to find all the infinity stones, they can just pull everyone out of the soul world. 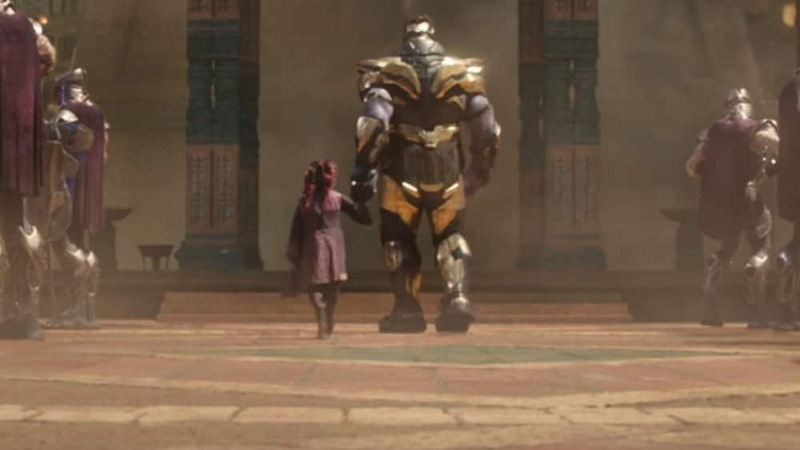 The Soul World is where Thanos is believed to have been at the end of Infinity War when he spoke to a young Gamora who asked him “what was the cost?” If this is true I have one additional question, how did Thanos get into the Soul World? Can he use the power of the soul stone to warp in and out of the Soul World whenever he wants, or did “50% of all existence” apply to him too and he disintegrated at the end of Infinity War along with the rest of them? There’s tons more that can be analyzed about this movie and theorized for Avengers 4, but I’ll stop there for now. What do you think? In the discussion board below feel free to say whatever you want regarding Infinity War, Avengers 4 or the future of the Marvel Cinematic Universe in general? 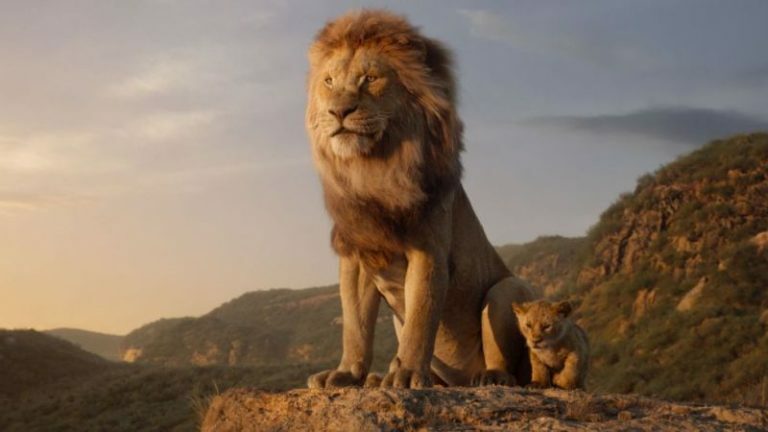 Go ahead and talk about what you liked or didn’t like about the movie; don’t worry everyone here should have seen it already so you won’t risk spoiling the twists for others. What theories do you have for Avengers 4? Share any and all below. I think Ant Man and the Wasp are going to play a role in Avengers 4. My guess is that somehow the quantum realm was unaffected by Thanos’ finger snap, and they can use that somehow. Captain Marvel also plays a big part, and being used as a stand in for Adam Warlock’s role from the comic makes sense. If I had to guess, I’d say Ironman winds up with the spare gauntlet from the dwarf space forge, and when the stones are all in place, he is able to bring back everyone who died post snap at the cost of something dear to him pepper potts or steve rogers maybe? I think Heimdal and Loki stay dead, Gamora and Vision are up in the air.